It’s true that 2017 saw the closure of several retail stores. However, did you know that every month in 2017 showed a steady increase in sales over the same period in 2016, and that only 15% of retail stores showed a net decrease in sales? Both statistics, from the National Retail Federation, seemed to be lost in the sea of negative retail news. 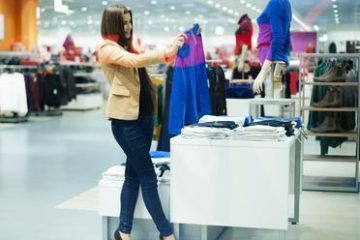 As far as fashion is concerned, there’s more good news; the expanded reach of some fashion trends has allowed more generations to take advantage of them, translating into higher sales overall. With 2018 just beginning, stores in the fashion and retail industries are at the start of what promises to be a very exciting year. The following expert predictions will not only inspire a host of new ideas but will also help to jump-start your search for the talent you’ll need, with the help of fashion recruiters. Whether they visit your store online or off, customers in 2018 will want more value in the form of community and personalization. From artificial intelligence to apps and algorithms, retailers have many opportunities to provide customers with the experiences they want. This will most definitely extend to the customer service end of retail and fashion businesses. Social media channels will continue to provide a way for customers to give and get instant feedback on their comments and concerns, and so talent in this area will be a definite requirement. Personalization is what lets customers know that they are important parts of your company’s story. However, this is also something that many business owners neglect, perhaps because they may feel that it is beyond their understanding. However, it can be as simple as the added offering of simple services like the engraving or embroidery of the items you sell so that customers have the opportunity to add their own personal touches. Having an in-store specialist found by retail recruiters who can recommend your various offers to customers will be a definite asset. Not only can they help the customer to get what they’re looking for, but they can also help to build trust via this interaction. Community is also a part of the value-added customer experience. Now that technology has permeated every area of our lives, customers are seeking connection with real people. In order to be ready for this, it will be important for your business to offer customers a way to share their interests with others by bringing them together. This can be accomplished with the offering of online discussion groups and similar communities that allows individuals to get product recommendations, share ideas and tips, and ask questions and communicate with others. Having community moderators will allow posts to be directed to the right areas and ensure conversations stay focused. In order to provide these valuable experiences to your customers, you have to know what they want. This can be done by making the collection of key customer details a diligent pursuit. Gain a greater understanding of the products customers buy and use, and why they continue to choose these products. This information needs to be collected and confirmed on a regular basis so that you can start creating products having features that customers already love. Once you have set up a community where customers can chat about their experiences with your products and given it time to become established, it’s time to examine the most popular topics. They will reveal the details about the things your customers love and don’t love about your products, which will allow you to formulate a proactive response when dispensing customer service. While perusing these trending topics, you will need to consider the kind of impact your products are having on your customers. A customer’s major issue with a product will require a far different level of attention than a customer who has experienced minor frustration. In relation to impact is the profile of affected customers. Using fashion recruiters to find an expert who can identify which customer characteristics may have caused this experience will be of great benefit. It may be that the issue affects only a certain number of customers. If it affects a wide range of customers, your approach will need to be different. For example, if a small number of customers is affected by an issue with your product, you may be able to get in touch with them individually. An issue that’s more widespread may require a bigger announcement, such as a notice on your website in addition to an email. All of the strategies above will allow you to provide proactive customer service while eliminating the need for repeated actions on your part. Ensuring you have products that a greater range of customers can use is also something to consider for 2018. Some trends, such as athleisure, grew drastically in popularity in 2017. Many companies partnered with celebrities to create these lines that appeal to all style preferences and age groups. This updated means of partnership and collaboration may have been responsible for the increased numbers of mature customers who purchased athleisure fashion last year. In general, this age group’s interest in fashion has intensified, and there are no signs that this will lessen in 2018. 2018’s customers will want to have the same experience whether they visit your brick-and-mortar store or shop online. This provides retail recruiters with a golden opportunity: to find talent that can give customers exactly what they want, when and how they want it. Tying your online and offline entities together can be as easy as hiring a branding and web design professional. These individuals can ensure that customers always know when they’re at your place of business by incorporating company style, color scheme, and other elements into your website. Just as your physical store needs to be easy for customers to move around in, so should your website make it easy for customers to get to where they want to go. Here, too, is where a talented web designer can truly shine. It certainly looks as though the retail and fashion industries have no plans to slow down in 2018. That’s great news for you, but do you have the talent you need to make it happen? Ensuring your staffing needs are met with bright and talented individuals is the first step to staying ahead of the game in the new year. However, this can prove to be a daunting task if you’re going it alone. Having a fashion recruiter in your corner can offer many benefits, including revealing the best up-and-coming minds in the industry and significant savings for your business. The fast-paced fashion industry runs on deadlines, and there’s nothing more stressful than being on a tight deadline without the talent you need to meet it. A recruiter’s job is to look for that talent until he or she has found it, which can, due to the recruiter’s experience, take a lot less time than expected. As a busy business owner, you are likely wearing many hats. However, could you be spending your time and resources more efficiently? In order to make the influential decisions needed for continued success, you must have the time and space to focus, which isn’t possible when you’re busy putting out fires. Seeking out and acquiring top talent is all that a fashion recruiter does. When you have a position open and receive a stack of applications, a fashion recruiter can shortlist only the best fits. In the meantime, you can focus on your strategy for taking your business to the next level. Do you know who the up-and-comers are or which major players can offer your company the most benefit? The extensive networking connections of a fashion recruiter contain many of these individuals. Imagine how far ahead of your competition you’d be with a staff of tech superstars, creative geniuses, and innovators ready to work with you to continuously improve your products. The Fashion Network represents fashion and retail businesses alike with one-on-one service. Identifying your unique needs, our recruiters will use their years of experience to locate individuals who are perfectly suited to your requirements. Call 212-575-5898 for more information.